Michelle Elvy lives and works as a writer, editor and manuscript assessor based in New Zealand. She edits at Blue Five Notebook and Flash Frontier: An Adventure in Short Fiction and Awkword Paper Cut, where she also curates a monthly column, Writers on Writing. She is Associate Editor for the forthcoming (2015) Norton flash anthology. Her poetry, prose, nonfiction and reviews can be found in journals and anthologies such as Poets & Artists, JMWW, The Linnet’s Wings, Word Riot, Prime Number Magazine, Room, Metazen, Takahē, Drunken Boat,PANK, 2014: A Year in Stories and Eastbourne: An Anthology. More at michelleelvy.com. 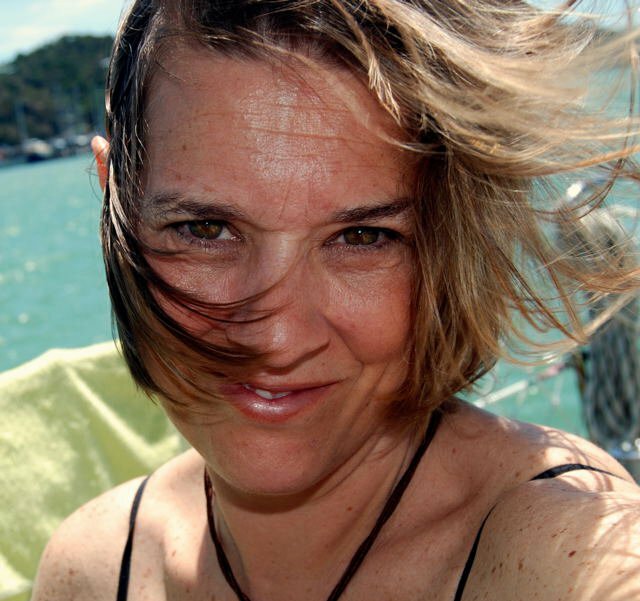 You can also find her at her blog Glow Worm and sailing on Momo, her home of more than a decade, currently taking her through Indonesia. I love flash that is fresh and unexpected. I like layers — there has to be something under the skin of the piece. I like a story to leave me with questions to mull long after I’ve read it. For me, there are many things that make excellent flash, but a deal-breaker is the ‘aha’ ending, the trite and clichéd use of that ‘gotcha‘ moment. Here are two: an older one and a newer one.